Elizabeth: (speaking of Mr. Collins) But he must be an oddity, don't you think? ... Can he be a sensible man, sir? Mr. Bennet: Oh, I think not, my dear. Indeed, I have great hopes of finding him quite the reverse. Mr. Bennet: You seem, uh, very, uh... fortunate in your patroness, sir. Mr. Collins: Lady Catherine de Bourgh. Indeed I am, sir. I have been treated with such affability, such condescension as I would never have dared to hope for. I have been invited twice to dine at Rosings Park. Mr. Bennet: That so? Amazing. Mrs. Bennet: Does she live near you, sir? Mr. Collins: The garden in which stands my humble abode is separated only by a lane from Rosings Park. Mr. Bennet: Only a lane, eh? Fancy that, Lizzy! Mrs. Bennet: I think you said she was a widow, sir. Has she any family? Mr. Collins: She has one daughter, ma'am, the heiress of Rosings and of very extensive property. Mrs. Bennet: And has she been presented at court? Mr. Collins: She is unfortunately of a sickly constitution which unhappily prevents her being in town. And by that means, as I told Lady Catherine myself one day, she has deprived the British court of its brightest ornament. (Turning to Mr. Bennet) You may imagine, sir, how happy I am on every occasion to offer those delicate little compliments which are always acceptable to ladies. Mr. Collins: They proceed chiefly from what is passing at the time, sir. I do sometimes amuse myself by writing down and arranging such little compliments as may be adapted to ordinary occasions. But I try to give them as unstudied an air as possible. Mr. Collins: I must confess myself quite overwhelmed with the charms of your daughters, Mrs. Bennet. Mrs. Bennet: Oh, you are very kind. They are sweet girls, though I say it myself. Mr. Collins: Perhaps... especially the eldest Miss Bennet? Mrs. Bennet: Ah, yes, Jane is admired wherever she goes. But I think I should tell you Mr. Collins, I think it very likely she will be very soon engaged. Mrs. Bennet: As for my younger daughters, now if any of them... in their case, I know of no prior attachment at all. Mr. Collins: You visit your Aunt Philips in Meryton frequently, I understand? Elizabeth: Yes, she is fond of company, but you'll find her gatherings poor affairs after the splendours of Rosings Park. Mr. Collins: No, I think not. I believe I possess the happy knack, much to be desired in a clergyman, of adapting myself to every kind of society, whether high or low. Mr. Wickham: I was amused by your cousin's reference to Lady Catherine de Bourgh. She is Mr. Darcy's aunt, you know, and her daughter, Anne, who will inherit a very large fortune, is destined to be Mr. Darcy's bride. Elizabeth: Really? (aside) ...Poor Miss Bingley. Ah, you look very well, Lizzy! You will NEVER be as pretty as your sister Jane, but I will say you look very well indeed. Mr. Darcy: If you're not otherwise engaged, would you do me the honor of dancing the next with me, Miss Bennet? Elizabeth: Why, I... had not... I thank you, yes. (Mr. Darcy bows and leaves; Elizabeth turns to Charlotte) WHY could I not think of an excuse? Hateful man! I promised myself I would never dance with him. Elizabeth: I believe we must have some conversation, Mr. Darcy. A very little will suffice. You should say something about the dance, perhaps. I might remark on the number of couples. Mr. Darcy: Do you talk by rule, then, when you're dancing? Elizabeth: Yes, sometimes it is best. Then we may enjoy the advantage of saying as little as possible. Mr. Darcy: Do you consult your own feelings in this case or seek to gratify mine? Elizabeth: Both, I imagine. We are each of an unsocial taciturn disposition, unwilling to speak unless we expect to say something that will amaze the whole room. Mr. Darcy: This is no very striking resemblance of your own character, I'm sure. Elizabeth: I remember hearing you once say that you hardly ever forgave; that your resentment once created was implacable. You are very careful, are you not, in allowing your resentment to be created? Mr. Darcy: I hope not. May I ask to what these questions tend? Mr. Darcy: And what is your success? Elizabeth: I do not get on at all. I hear such different accounts of you as to puzzle me exceedingly. Mr. Darcy: I wish, Miss Bennet, that you would not attempt to sketch my character at the present moment. I fear the performance would reflect no credit on either of us. Elizabeth: But if I don't take your likeness now, I may never have another opportunity. 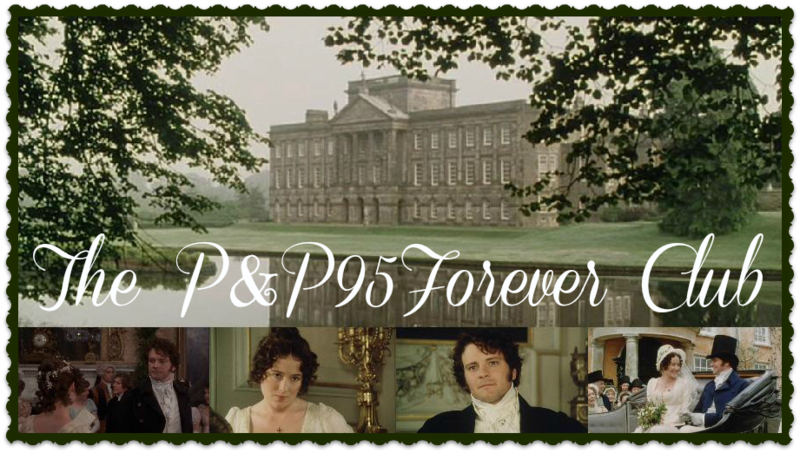 Mr. Darcy: I would by no means suspend any pleasure of yours. (Approaches Mary at the piano) That will do extremely well, child. You have delighted us long enough. (lowers voice) Let the other young ladies have time to exhibit! Kitty: I thought Mary sang very ill.
Elizabeth: Yes, poor Mary. But she is determined to do it. My reasons for marrying are-- first, I think it a right thing for every clergyman to set the example of matrimony in his parish. Secondly, that I am convinced it will add very greatly to my happiness. And thirdly, which perhaps I should have mentioned first, that it is the particular recommendation of my noble patroness Lady Catherine de Bourgh. "Mr Collins," she said, "you must marry. Choose properly," she said. "Choose a gentlewoman for my sake, and for your own, let her be an active, useful sort of person, not brought up too high. Find such a woman as soon as you can, bring her to Hunsford, and I will VISIT her!" Mr. Collins: My dear Miss Elizabeth, my situation in life, my connection with the noble family of de Bourgh, are circumstances highly in my favor. Consider that it is by no means certain that another offer of marriage may be made to you. You cannot be serious in your rejection. I must attribute it to your wish of increasing my love by suspense, in the usual manner of elegant females. Elizabeth: I assure you, sir, that I have no pretensions to the kind of elegance which consists in tormenting a respectable man. I thank you for the honor of your proposals, but to accept them is absolutely impossible. My feelings forbid it in every respect. Can I speak plainer? Mr. Collins: You are uniformly charming! Mrs. Bennet: Lizzy declares she will not have Mr. Collins, and Mr. Collins begins to say he will not have Lizzy! Mr. Bennet: What am I to do on the occasion? It seems a hopeless business. An unhappy alternative is before you, Elizabeth. From this day you must be a stranger to one of your parents. Your mother will never see you again if you do not marry Mr Collins. And I will never see you again if you do. Aye, do! Do! Take him away and feed him, for he's been in high dudgeon all morning! Mrs. Bennet: Oh, Mr. Collins! Mr. Collins: I am resigned. Resignation is never so perfect, as when the blessing denied begins to lose somewhat of its value in our estimation. Until tomorrow then, madam. I take my leave.